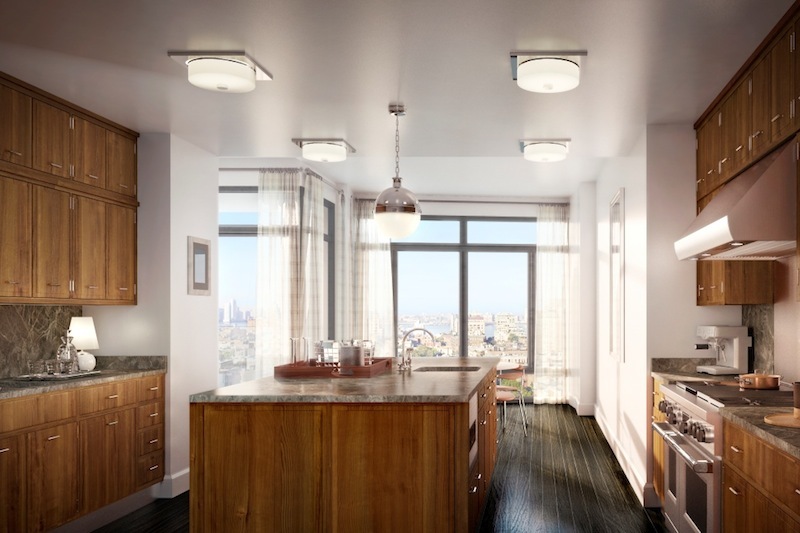 A penthouse at multi-building development The Greenwich Lane is in contract for $45 million, a neighborhood record. Penthouse South at 155 West 11th Street was the No. 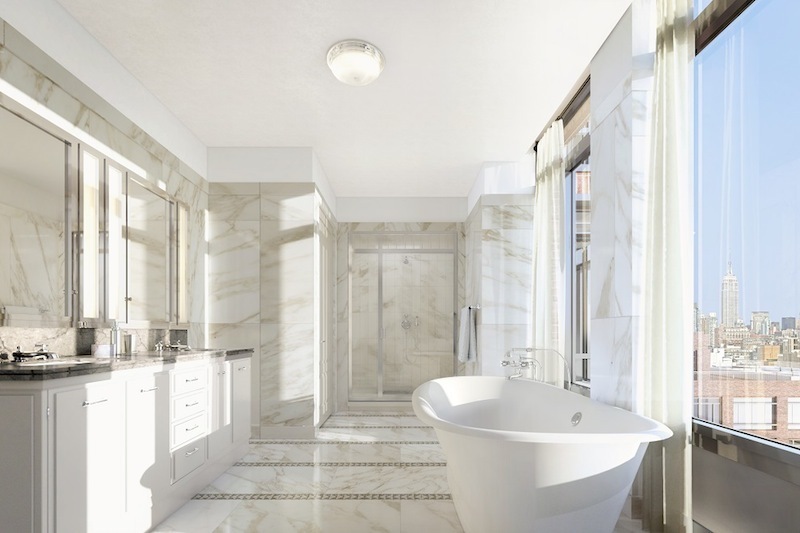 1 contract of 37 high-end contracts signed last week, according to the Olshan Luxury Market Report, which follows New York residential properties that trade for $4 million or more. 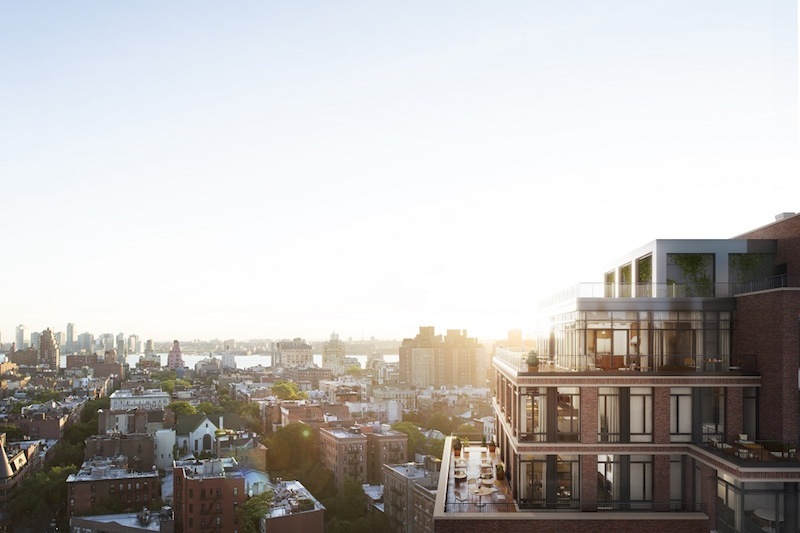 If the deal goes through, the 5,587-square-foot duplex will be the most expensive apartment ever sold in Greenwich Village, according to the report. 155 West 11th Street is part of the Rudin family’s Greenwich Lane development, which consists of five apartment buildings and five townhouses at the former St. Vincent’s Hospital site. The first listings hit the market in November 2013, as we previously reported. So far, 80 percent of the project’s 200 units are in contract, with an average price of $3,183 per square foot. FX FOWLE designed the entire development, which spans several architectural styles, and Thomas O’Brien did the interiors. The amenities for The Greenwich Lane include a 24-hour attended lobby, on-site resident managers, porters, handymen, underground parking garage, a central garden, lounge, dining room, chef’s kitchen, private screening room with a wet bar, children’s playroom and a gym with yoga, golf and wellness rooms and a 25-meter pool. Corcoran Sunshine Marketing Group is marketing the property.